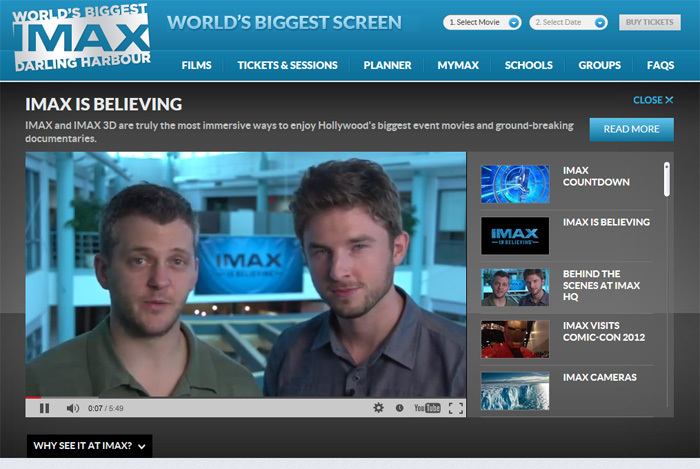 In a series of video clips, we take a look behind the scenes and learn what sets IMAX apart from all the rest. Tour IMAX's technology HQ in Toronto , learn about what's involved in making IMAX movies, see the cameras and take a look at how theatre geometry helps make your movie experience the world's best. There is a series of "IMAX 101" videos which help explain topics like 3D, IMAX DMR, Theatre Geometry and IMAX Sound. These are highly recommended if you want to understand more about what makes IMAX so different from other cinema experiences. Click the image below to visit Why See It In IMAX, watch the clips and learn a whole lot more!